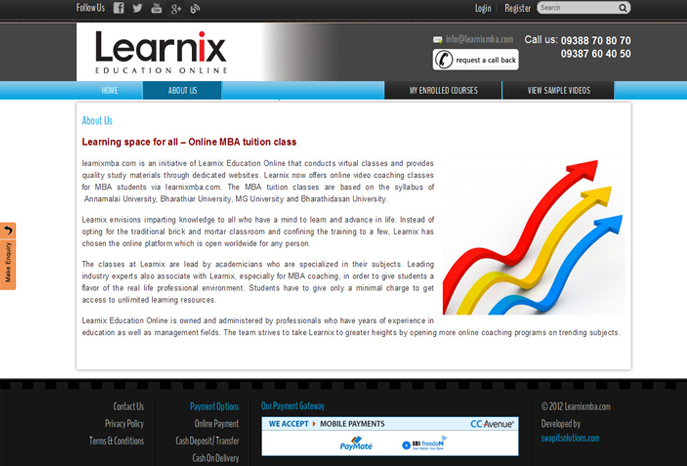 learnixmba.com is an initiative of Learnix Education Online that conducts virtual classes and provides quality study materials through dedicated websites. 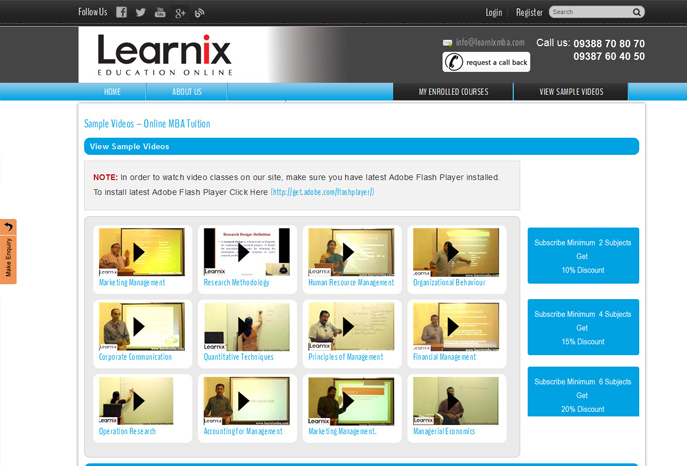 Learnix now offers online video coaching classes for MBA students via learnixmba.com. 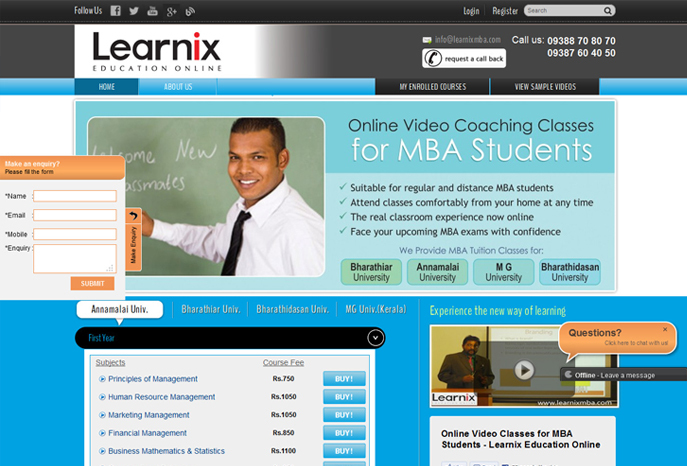 The MBA tuition classes are based on the syllabus of Annamalai University, Bharathiar University, MG University and Bharathidasan University. What our customers say about us ? We are looking for a highly skilled and motivated web developers and designers to help us continue to deliver high quality, functional web projects on time, on budget and on brief. For all those who are looking for a custom website design that can convey the strongest image to wide online customers, Swap IT Solutions, leading web design company in Kannur, Kerala has recently announced to offer customized web designing service at a starting price of just Rs.12000. We offers result oriented SEO services with a 100% guarantee of top page ranking on Google within the targeted timeline. Guaranteed SEO services declared by Swap IT Solutions is to give an assurance to the clients investing in SEO campaigns that they will get their site on the top pages as return on investment. © SWAP IT SOLUTIONS 2019 | All rights reserved .